Modern sinology--the study of things Chinese--may trace its roots back centuries to Marco Polo, Byzantium and even Imperial Rome, but to a great extent it was built on foundations laid and extended by Herbert Giles, a consul for the United Kingdom in China and later a professor at Cambridge University. Even after his 26-year tour in China was completed and he returned to his native England, he continued to author a large number of scholarly works and translations on China and the Chinese. 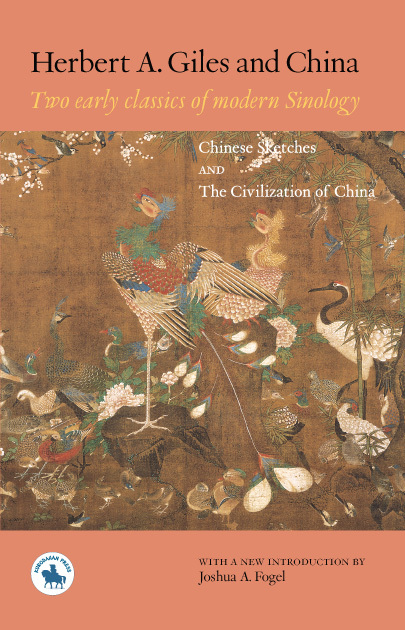 Two of these, Chinese Sketches (1876) and The Civilization of China (1911), are now available in a single volume, revealing once again his piercing observations and a glimpse of a very different China. Herbert Allen Giles (1845-1935), the author of the two works which comprise this volume, was in his day, as now, an extraordinarily erudite scholar of Chinese history and culture. His long life spans the era from the Taiping Rebellion through the early years of the second Sino-Japanese War. He was the son of John Allen Giles (1808-1884), an Oxford University-trained minister, translator from the Greek, and author of a Latin Grammar. After serving in the Chinese consular service for twenty-six years (1867-1893), Giles fils became professor of Chinese at Cambridge, where he taught until 1932. Over the years, he penned a long list of books, scholarly and popular, which attempted to make sense of the great complexity of Chinese history and culture to a literate Anglophone audience. Herbert Allen Giles was born in England, and was the son of an Oxford University-trained scholar-minister. He served in the Chinese consular service from 1867 to 1893, then retired to a position at Cambridge University, where he taught until 1932. He was a pioneer of modern sinology, and the author of a great many books, both scholarly and popular. His name is best remembered in connection with the Wade-Giles system of romanizing the Chinese language, which he developed in co-operation with Thomas F. Wade. Giles was also the author of a Chinese Biographical Dictionary (1898) and Chinese-English Dictionary (1912): both are still valuable reference works for scholars and students of Chinese language and culture.